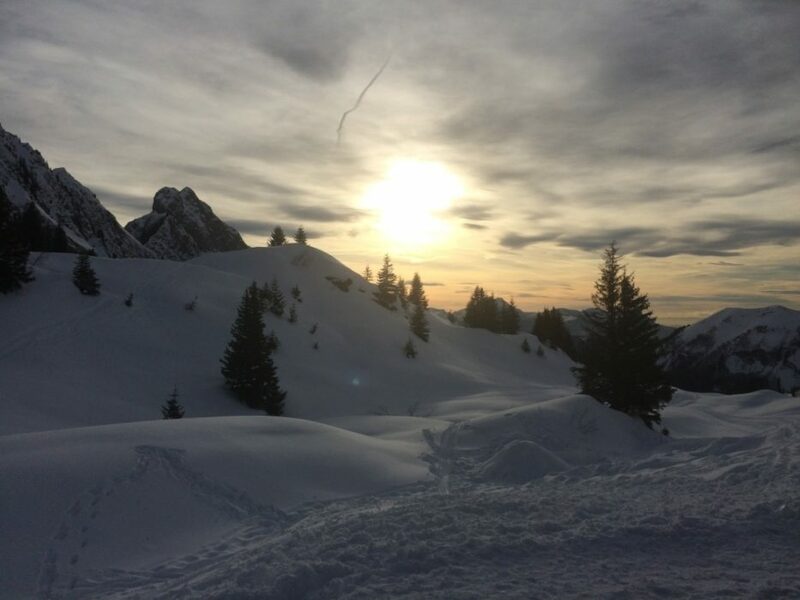 At the end of the impressive, deeply gouged U-shaped Haute Giffre valley, the village of Samoëns provides an access point for a range of winter snowsports. 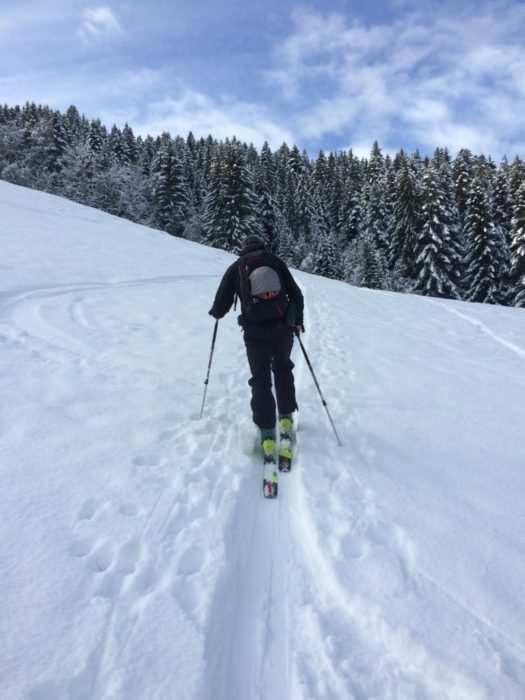 Situated within one hour’s drive from Geneva airport (approximately 70km), Samoëns is the perfect winter weekend location for snowshoeing and ski touring. Located within the Grand Massif ski area, it offers easy access to major transport hubs, along with more than 265km of piste on the southern side of the town. 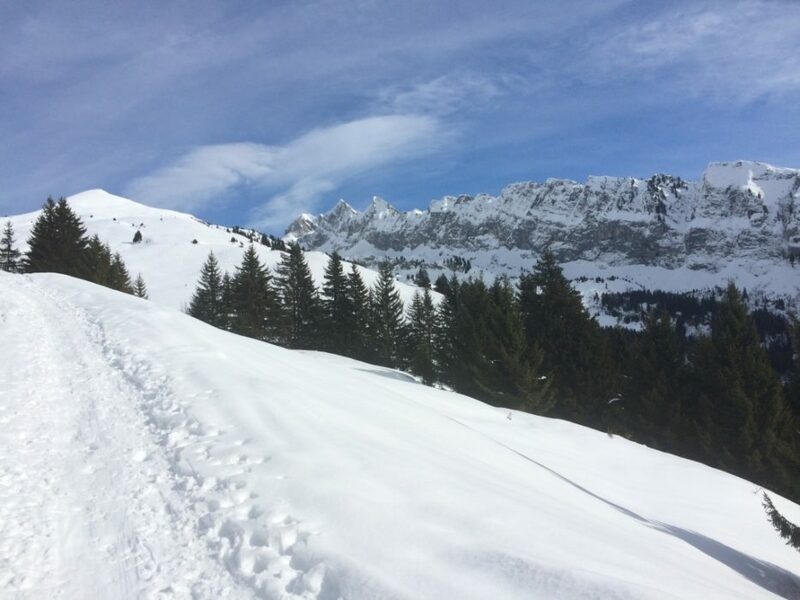 This leaves the rolling gentle terrain under the peaks of the Dents Blanches in the north free to roam for the intrepid snowshoer and ski tourer. The ancient town is traffic-free and full of character and charm, catering for all budgets, from self-catering Airbnbs to hotels. There are several supermarkets, alongside traditional patisseries and gourmet shops selling local specialties such as mountain cheeses, cured meats, cakes and liquors that have been flavoured and infused with locally foraged food. 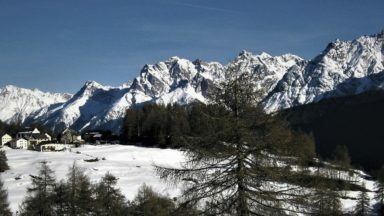 It is very popular, which makes getting out of the bigger Grand Massif locations all the more attractive. Samoëns is the only French winter sports resort to be designated a national heritage site, having been awarded the Monuments Historiques. This honour was given in part because of the town’s Jaÿsinia botanical garden, which was established in 1906. Open year-round, more than 5000 plants can be seen during the late spring to early autumn season. The area has also been famed for its brotherhood of frahans (stonemasons) since the late 1600s due to the numerous limestone quarries located throughout the Giffre valley. 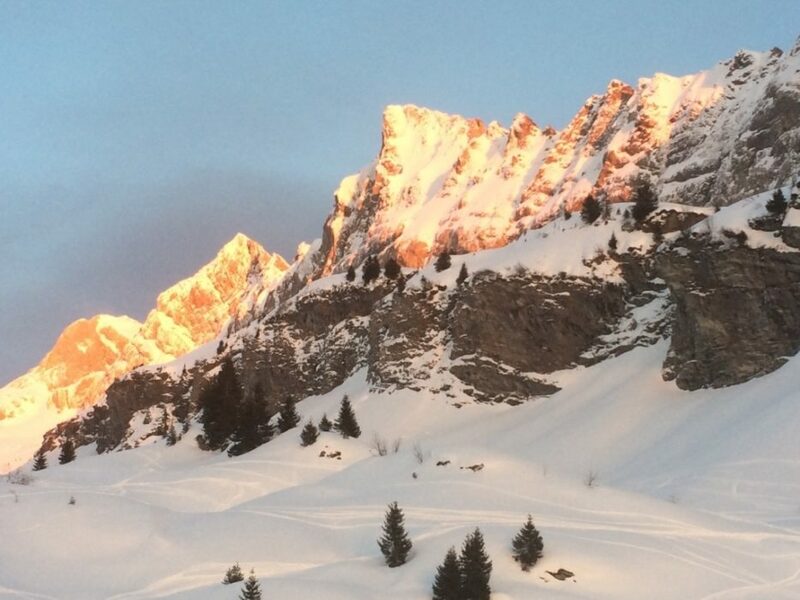 With regular flights from most European airports, including all three major London airports (flight time 1hr 30min), it makes it an ideal location to access a local French resort with the added charm of an ancient village to explore après ski. 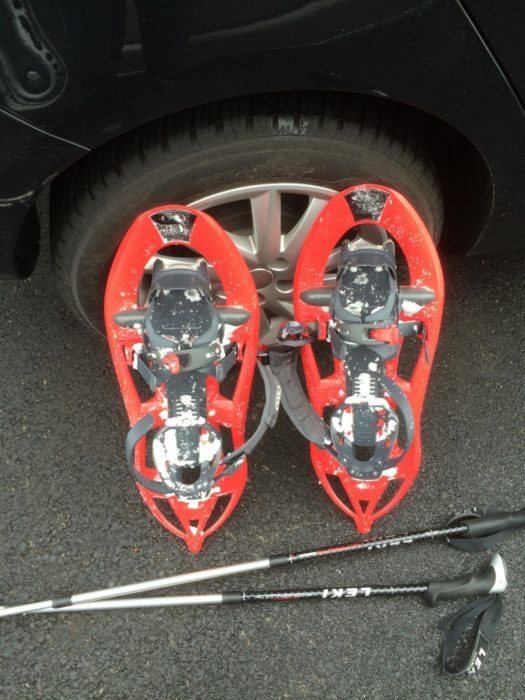 Snow chains are required as you begin to ascend into the Grand Massif – ensure hire cars have them. If you are self-driving, be sure to purchase or hire prior to departing, and know how to fit them. 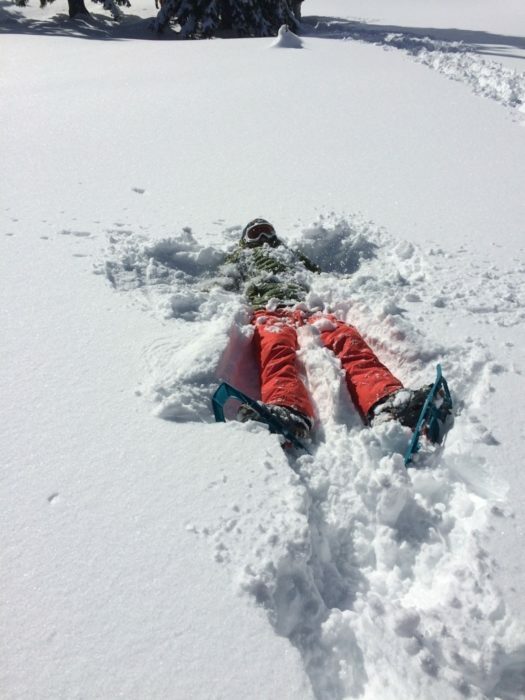 With over 265km of piste, of which 80% have a northern aspect and therefore hold the snow well, the area enjoys regular, abundant snowfalls throughout the season. 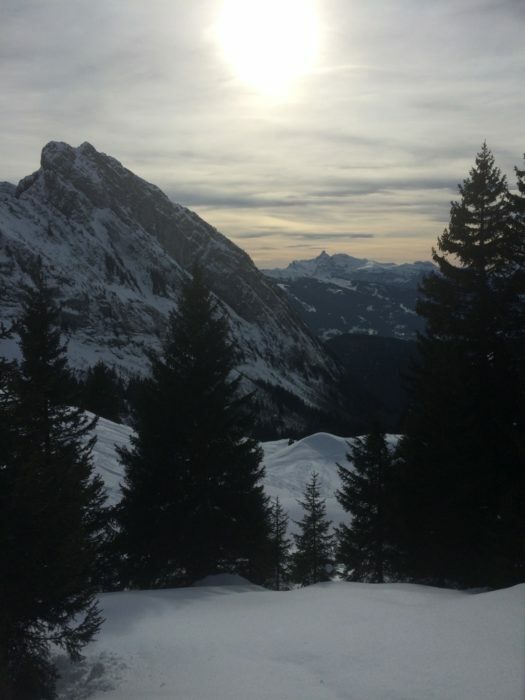 The Grand Massif consists of five resorts, interlinking Samoëns and Sixt-Fer-à-Cheval with the south-western resorts of Flaine, Morillon and Les Carroz. 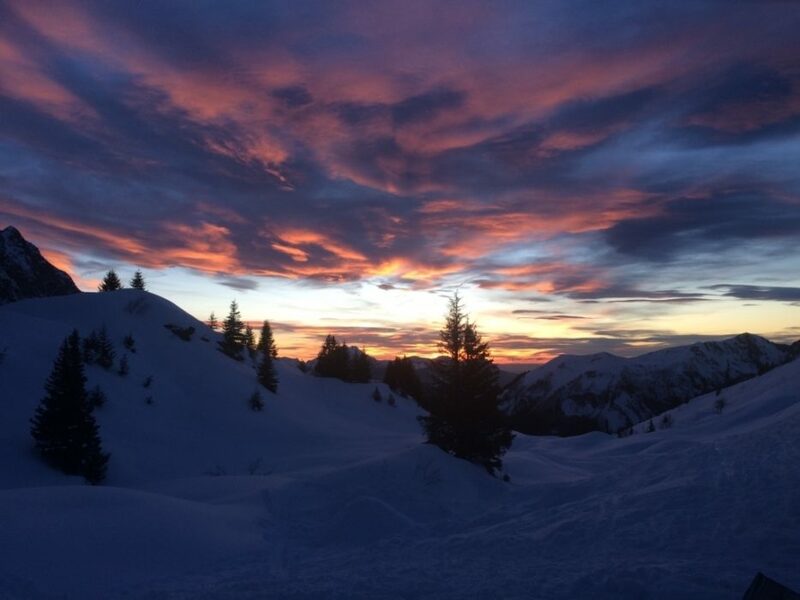 It accommodates beginners to experts, offering a 5km beginners slope through ancient forest, a 14km blue run via Les Cascades, and black runs through the Combe de Gers, with an 800m and untouched snow. Three jamparks can be found within the area, providing skiers of all abilities with the opportunity to experience and enjoy freestyle skiing. Unfortunately, you cannot ski directly back to Samoëns as a cable car is required to carry you up to the Samoëns 1600 ski domain. Alternatively, you can drive the short distance, parking at 1600 for the day, or take the cable car up, and ski down into the village of Morillon at the end of the day to get the ski bus back to Samoëns. The real highlight of a weekend in Samoëns is away from the groomed pistes of the Grand Massif. 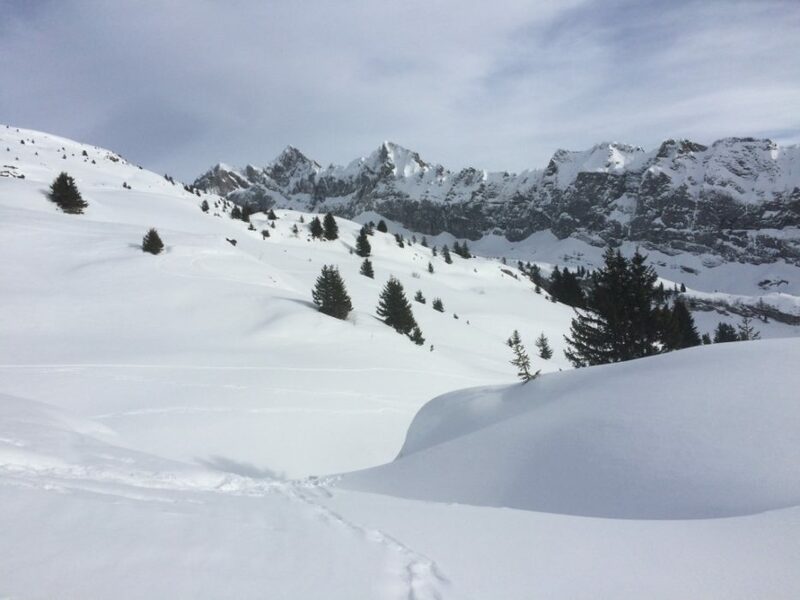 Access to the gentle slopes between the Col de la Golèse and the jagged peaks of the Dents d’Oddaz offers extensive back country for the intrepid snowshoer or ski tourer. 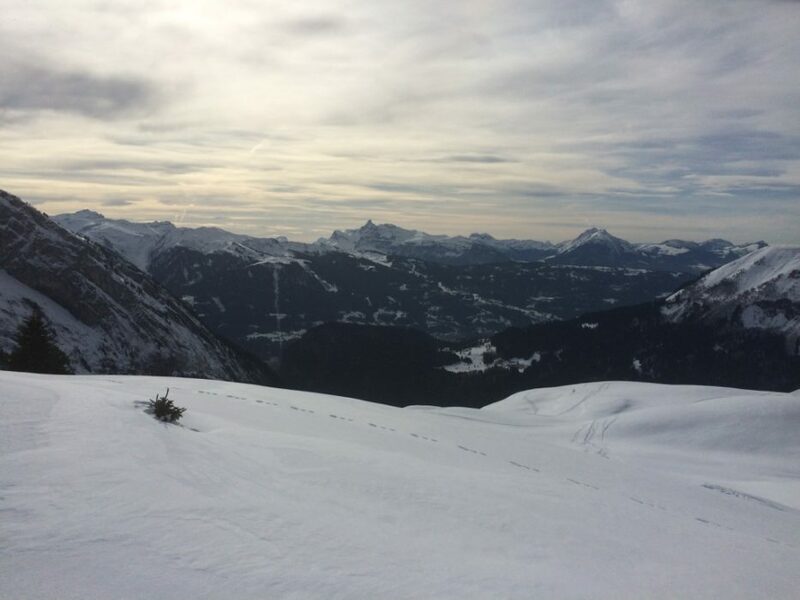 The gradient of the terrain is perfect for breaking trail, as well as offering exciting off-piste skiing for the descent. 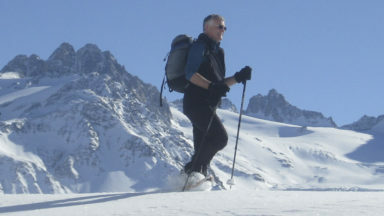 Islands of safety are easy to micro-navigate between the rolling Nordic-style terrain within the Forêt de Bostan, as well as on the gentle spur up to Pas de la Latte (2206m), providing excellent snowshoeing for all levels and abilities. 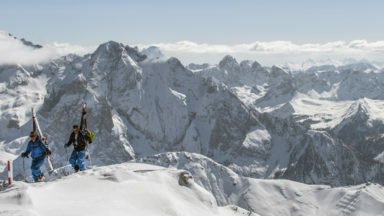 The ski tourer has an added opportunity to gain height and cover further distances, for example on the flanks of the Pointe de la Golèse, as well as heading to the French–Swiss border at the Col de Bostan (2290m), below the towering peaks of the Dents Blanches. 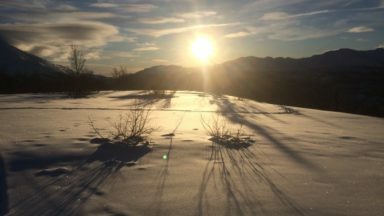 Access to the area is easy, and with the added bonus of a winter refuge (Refuge de Bostan) in the centre of the area, it makes for an ample adventurer’s playground. The hostel is perfect. 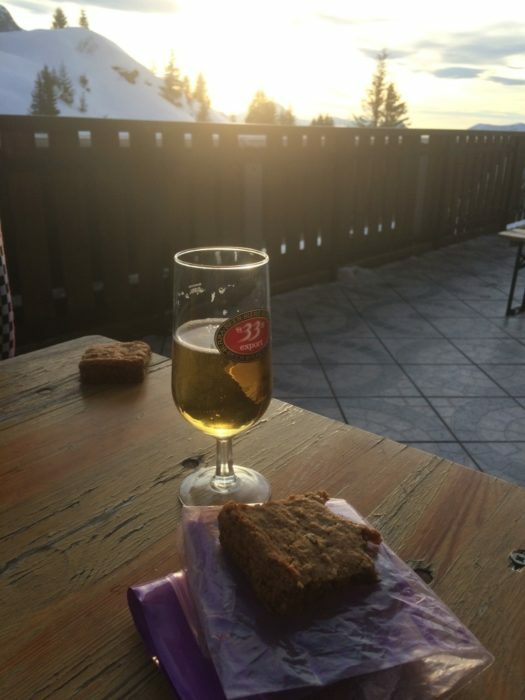 On the outdoor terrace you can enjoy a warming drink while watching the sun set over the Alps, listening to snow plummeting from the tops of the jagged peaks opposite. It offers demi-pension (dormitory bed, dinner and breakfast) at a reasonable rate; a welcome and timely sight at the end of a day on the mountain. See the Refuge de Bostan for details of when it is open. Equipment can be hired in the village, for those traveling light. 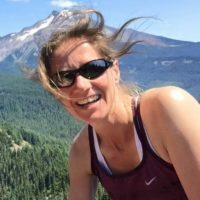 For those new to snowshoeing or ski touring, it is highly recommended you book a local guide to ensure your safety in avalanche country. 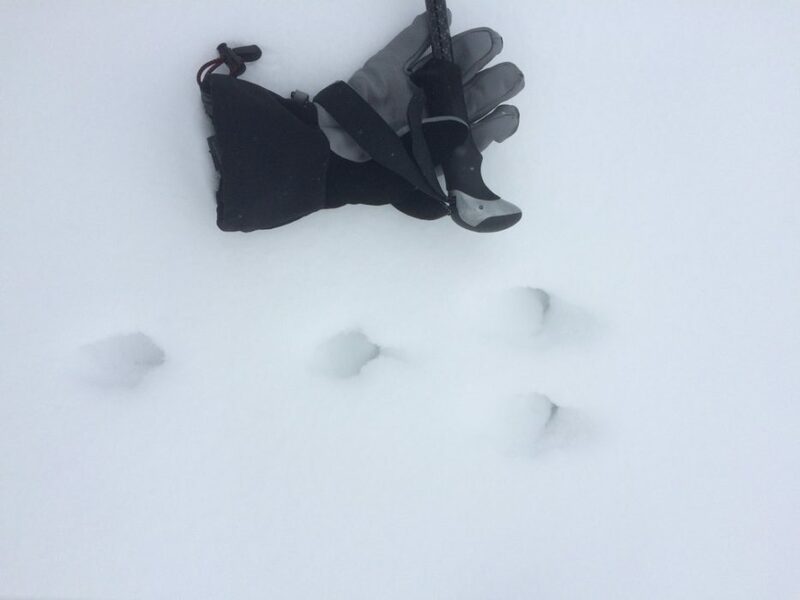 Winter activities can be dangerous and come with a high level of risk. You must always check the weather forecast before leaving, wear a working avalanche transceiver and carry a probe and snow shovel in case of avalanche. 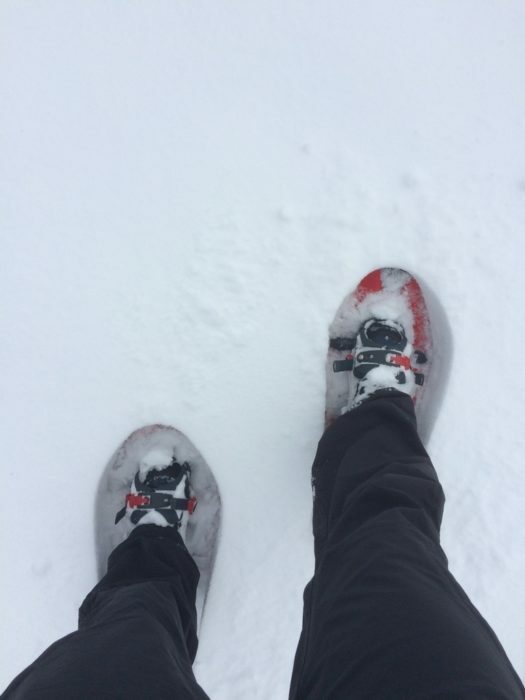 The Scottish Avalanche Information Service provides good advice when planning. You can view the latest prices here: Latest Prices. Chairlifts are open from 9am to 4pm daily. The Skibus is free of charge and runs daily. It circulates between Morillon, Samoëns and Sixt-Fer-à-Cheval, and between Samoëns and Samoëns 1600 from as early as 8am, until as late as 6pm. You can find more information at Ski Bus. 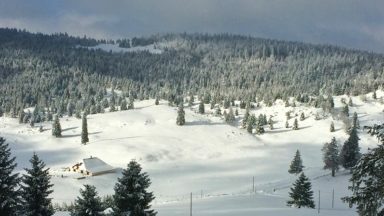 There is access to the northern gentle slopes of the Giffre valley and the Dents Blanches via the Voie Communale no.1 and the Route des Allemands to the car park at Les Allamands. Several car parks are located along the road and offer access to the Col de la Golèse and the Refuge de Bostan. Mapping can be purchased locally or online in advance (Samoëns – Haut-Giffre 1:25,000. 3520 ET). Refuge de Bostan (1763m), north of the Dents l’Oddaz, +33 4 50 90 10 94, lerefugedebostan@gmail.com. Demi-pension adult €43 (12 years upwards). See Le Refuge de Bostan for opening dates and reservations. Intersport Samoens, 76 Route de la Piaz, Samoëns, +33 4 50 3 40 51. Mountain Ski Shop, Plateau des Saix, Samoëns 1600, +33 6 02 63 64 69. Open 08.30am–6pm. Xtreme Glisses, 730 Route du Grand Massif, Samoëns, +33 4 50 89 82 30. J’aime Sport, Avenue du Fer Á Cheval, Samoëns. +33 4 50 34 98 20. Open 8.30am–7pm. Ski Set, Arrivée des télécabines, Samoëns 1600. +33 4 50 34 43 39. Open 08.30am–5pm. Jaÿsinia Botanical Gardens, 40 Rue du Parc, 74340 Samoëns, +33 4 50 34 49 86. Open 8am–4.30pm daily, free of charge. It is occasionally closed during periods of snowfall for public safety. Tourist office of Samoëns, 66 Place de l’Office de Tourisme, 74340, Samoëns. +33 4 50 34 40 28. Open Monday–Saturday, 9am–6pm, they have extensive information about local accommodation. Closed for lunch (12–2.30pm). 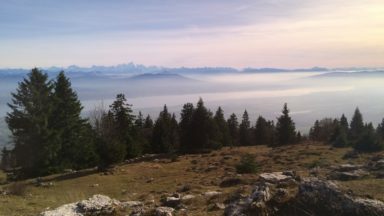 Go Massif are based in Samoëns and provide shared return taxi to Geneva airport for under €90, private being just under €200. Powdercabs offer return shared journeys to and from Geneva airport from Samoëns for under €100.